Built between 1908-1912, Fonthill was the home of Henry Chapman Mercer (1856-1930). Archaeologist, anthropologist, ceramist, scholar and antiquarian, Mercer built Fonthill both as his home and as a showplace for his collection of tiles and prints. The first of three Mercer buildings in Doylestown, Fonthill served as a showplace for Mercer's famed Moravian tiles that were produced during the American Arts & Crafts Movement. Designed by Mercer, the building is an eclectic mix of Medieval, Gothic, and Byzantine architectural styles, and is significant as an early example of poured reinforced concrete. Upon his death in 1930, Mercer left his concrete “Castle for the New World” in trust as a museum of decorative tiles and prints. He gave life rights to Fonthill to his housekeeper and her husband, Laura and Frank Swain. In accordance with Mercer’s Will, Mrs. Swain resided in the house and conducted occasional tours until her death in 1975. Upon her death, the Trustees of the Mercer Fonthill Museum determined to operate Fonthill as a historic house museum and contracted with the Bucks County Historical Society to provide professional care and management. In 1990, the Bucks County Orphans court appointed the Trustees of the Bucks County Historical Society as the permanent Trustees of the Mercer Fonthill Museum thus solidifying the commitment to professionalism at the site. Fonthill Museum remains a separate legal entity from the Historical Society. From 1976 to the present, Fonthill has evolved into a unique professional museum that provides a full range of museum programs related to Mercer and his collections while maintaining a strong commitment to the preservation and conservation of the building and its collections. Fonthill is designated a National Historic Landmark and the site is accredited by the American Alliance of Museums. Today, Fonthill attracts over 30,000 visitors annually from every state and more than 35 foreign countries. The site has been featured in numerous print and electronic media including the Arts & Entertainment Network’s popular “America’s Castles” series. 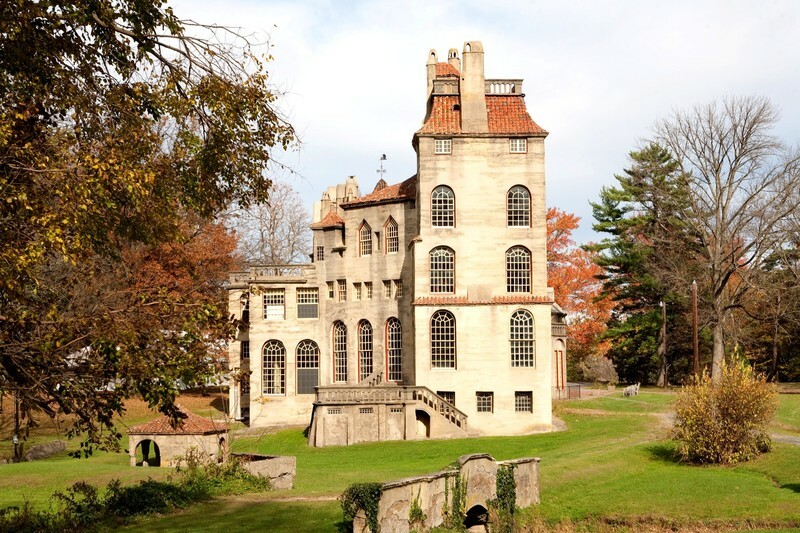 Fonthill is one of the original associate sites of the National Trust for Historic Preservation’s Historic Artists’ Homes and Studios program. In 2012 the Preservation Alliance of Greater Philadelphia recognized the 100th anniversary of Fonthill with a historic preservation award for stewardship presented to the Bucks County Historical Society.